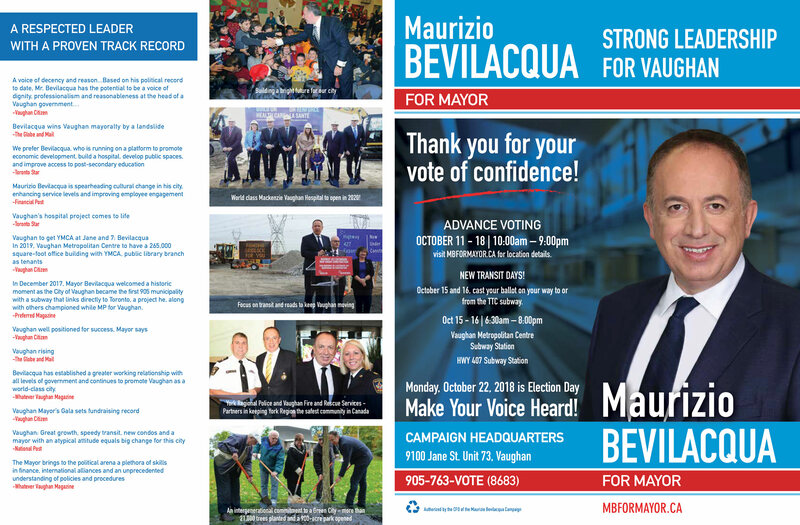 As your candidate for Mayor, Maurizio Bevilacqua is determined to continue delivering results that matter most to Vaughan families. Working closely with government partners at all levels to ensure intelligent investment for new transit initiatives and improvements including the Yonge Subway, vivaNext as well as road building and widening. 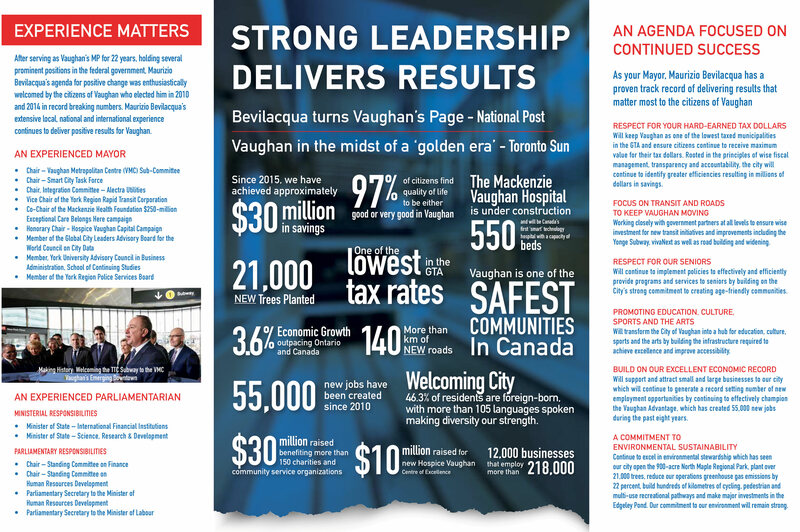 A post-secondary institution in the City of Vaughan will serve as a hub for higher learning and education. A first-class educational facility will inject millions of investment dollars into our City while attracting professional educators. Supporting and attracting small businesses and large corporations to increase the number of well paying jobs in the city.